The bizarre and escalating “trade war” being waged by Washington against the Chinese is not at all about balance of trade surpluses. The Chinese have apparently recently concluded this as well. It is about an all-out assault on China’s strategy to become an advanced, self-reliant economic leading economy, technologically on a par with the West, perhaps even more advanced. This is the basic content of the Xi Jinping Made in China:2025 national economic strategy . 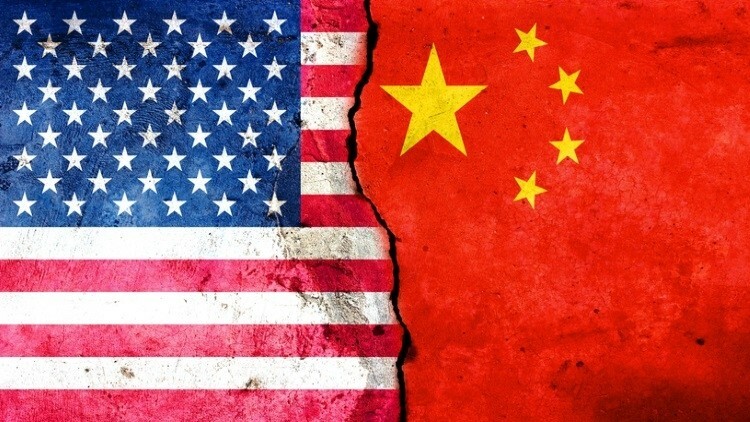 Long Guoqiang, vice president of the Development Research Center of the State Council, in a recent statement reflecting the current view of the Chinese government and party, declared that what he accurately calls“strategic containment” is a central American aim with the trade war. He argues this is being done by “interests extortion” such as threatening trade wars or actually going through with them to force the opening of markets, with the aim of attacking the Chinese “state capitalism” model of development to preserve American hegemony. Washington launched a similar attack, using private hedge funds, in 1997 to destroy the Asian “Tiger Economies” of South Korea, Malaysia, Singapore, Hong Kong and other fast developing Asian economies. The upshot of the speculative attacks and ensuing currency crises was the forced reorganization of the state-guided economic model on demand from the IMF, the so-called Washington Consensus. Prior to that, beginning with the infamous dollar-yen Plaza Accord, Washington engineered a Japanese real estate and stock market bubble and the subsequent Bank of Japan long economic deflation to control Japan’s enormous economic advances. The global hegemon—Wall Street and its Washington representatives in the Fed, the IMF and Treasury don’t appreciate competitive equals. This time, China, whose current trade surpluses are to a large extent derived from Chinese production on license for Apple, GM and countless other US and EU companies for re-export, is determined to become as soon as possible a self-sufficient high-technology economy, no longer dependent on access to critical US technologies such as computer processors. It’s understandable, especially in light of recent crippling sanctions against key Chinese electronics leaders Huawei and ZTE, that China would read the Washington handwriting or more precisely political graffiti on the Great Wall. As Malaysia’s Mahatir recently stressed in the aftermath of his talks in Beijing about cancellation of billions of dollars of Chinese infrastructure projects in Malaysia “pending thorough review” of the terms agreed by the former Prime Minister, allowing the Chinese to “save face” is major. Washington strategy at present is rather to rip off the Chinese “face,” and to try to replace it with one more to Washington’s liking for vassal client states. In the wake of that EU blunt rejection of a united front, China turned to its recent economic and political Asian rival, Japan. Lower-level trade talks began already in April between the governments of China, Japan and South Korea, the three economic leading nations of Asia. The bilateral talks between China and Japan have recently assumed a larger significance. Preparations for an extraordinary meeting in Beijing between Japan Prime Minister Abe and China’s Xi Jinping are being finalized, the first China visit by a Japanese Prime Minister since tensions began to grow in 2011, dramatically escalating when Washington pushed Japan to ignite a predictable territorial dispute over the Senkaku Islands, called Diaoyu in China, as Japan moved to put them under state control in September 2012. A further indication of growing common defenses against likely US financial warfare escalations, Japan and China have just agreed to renew bilateral currency swap agreements originally instituted in 2002 in the wake of the Asia crisis to better defend against speculative attacks. The swaps were discontinued in 2013 as tensions between Japan and China reached a peak. The Japanese are bitter over US sanctions on Japanese steel and aluminum as well as new threats of US tariffs against Japan auto imports. Japan has responded by striking an EU-Japan free trade agreement and now is moving to repair relations with its biggest Asian rival, China. The elusive powers that be who control deeper US geopolitical strategy will try with all means at their disposal at this point to literally break China with sanctions, humiliation, pressure on human rights in Xinjiang, financial warfare and even military threats. As the late Zbigniew Brzezinski declared, if USA loses control over Eurasia,the game is over for the sole superpower. China must be broken to prevent that. It is a dubious undertaking to put it mildly. War could be a consequence, one whose outcome would be catastrophic for mankind. There is one big obstacle to a US financial warfare against China. Unlike Japan in the 1980’s the debts of China are overwhelmingly internal Chinese debts held primarily by state-owned banks regulated by a state central bank, the Peoples’ Bank of China. Therefore while China’s impressive $36 trillion debt is an eye-popping number, it, like most things in China, is still state controlled, unlike Japan. In order for Washington to effectively control China at this point, it must do what Washington did in the 1990’s in the Russian Federation when they broke state control of issue of money and dictated to their vassal Boris Yeltsin the creation of an independent Central Bank of Russia. Until the Gods of Money are able to break state control of the PBOC, China has the means of dealing with its debts largely independent of dollar blackmail, unlike Turkey or Argentina or most other countries with privately-owned central banks that control issue of money.